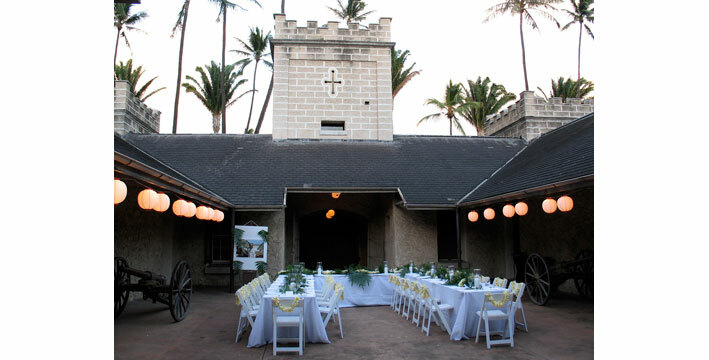 Whether it be a wedding reception, business luncheon, intimate dinner party or corporate holiday celebration, Halekoa, or the Iolani Palace Barracks is the perfect venue for any special occasion. 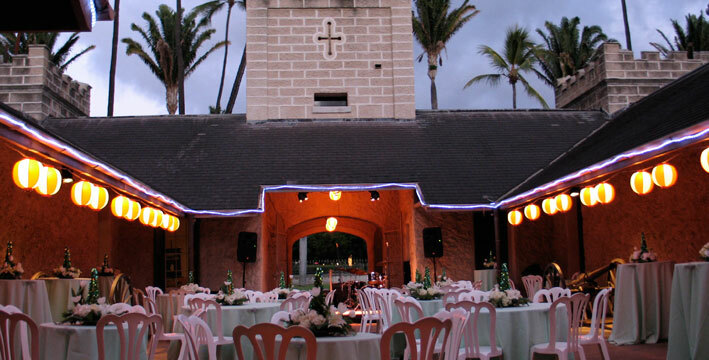 Halekoa’s coral block structure of limestone, and crenelated parapets and towers resemble architecture of medieval castles of Europe and create an atmosphere fit for any intimate event. The Barracks Lawn, located outside of the Halekoa, is a green oasis right in the middle of downtown Honolulu. 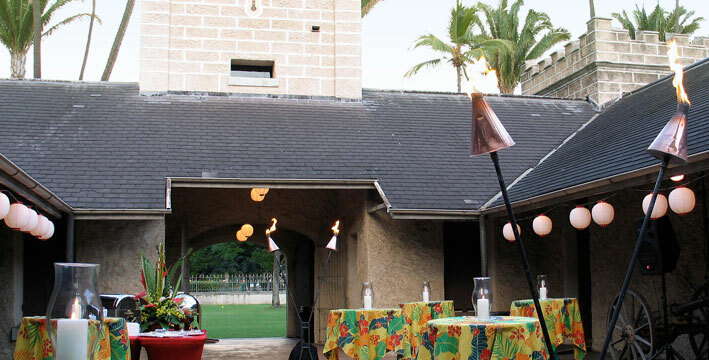 This area is quintessential for hosting outdoor parties or may be used as an extension of an event held in the Halekoa.